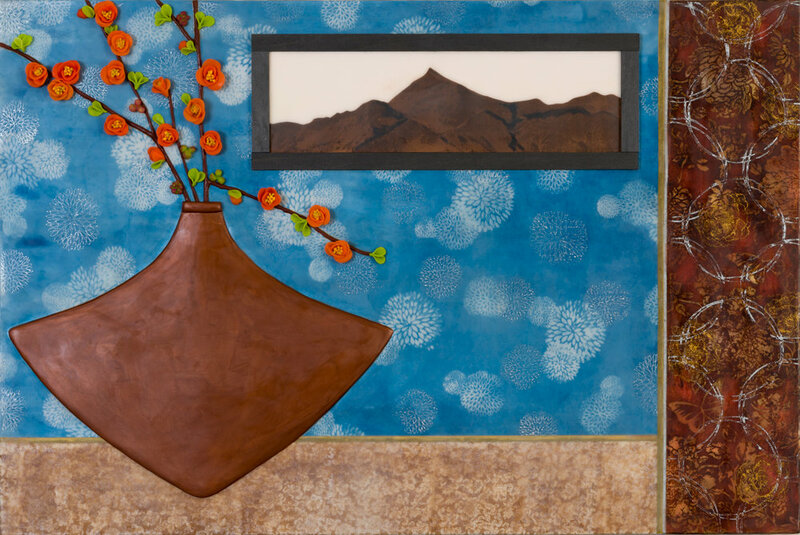 Claudia Hollister paints sculptural interiors. Erika James paints abstracted landscapes. 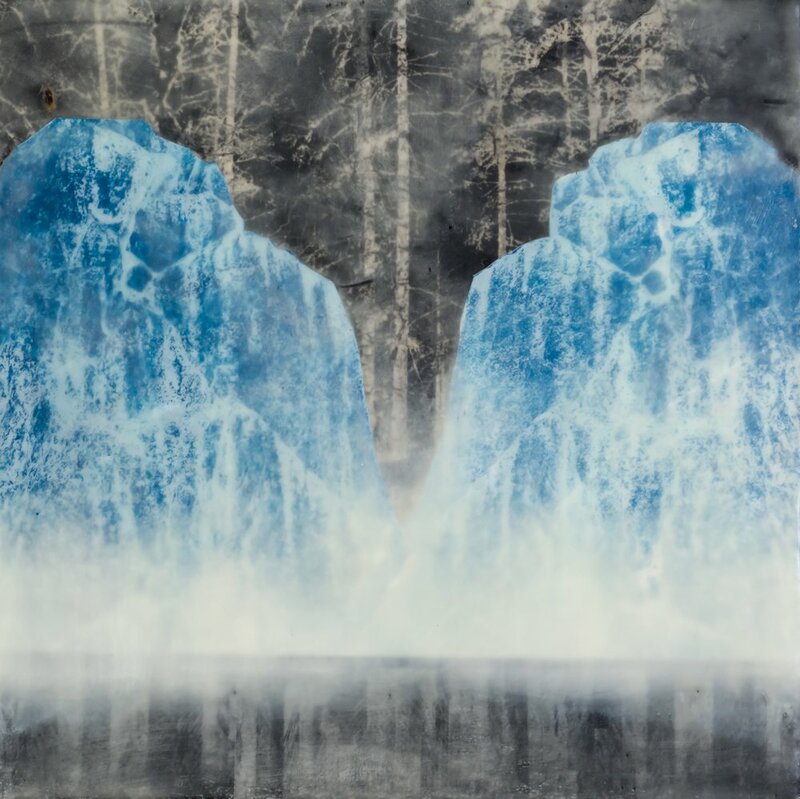 They’re both encaustic painters using the versatile medium in strikingly different ways. While their subject matter differs, the works are unified through strong form, implied texture, atmosphere and a sense of place. The dance between form and content, color and tones, texture and line. We selected forms and textures to use as a visual conversation to pair interiors and exteriors. 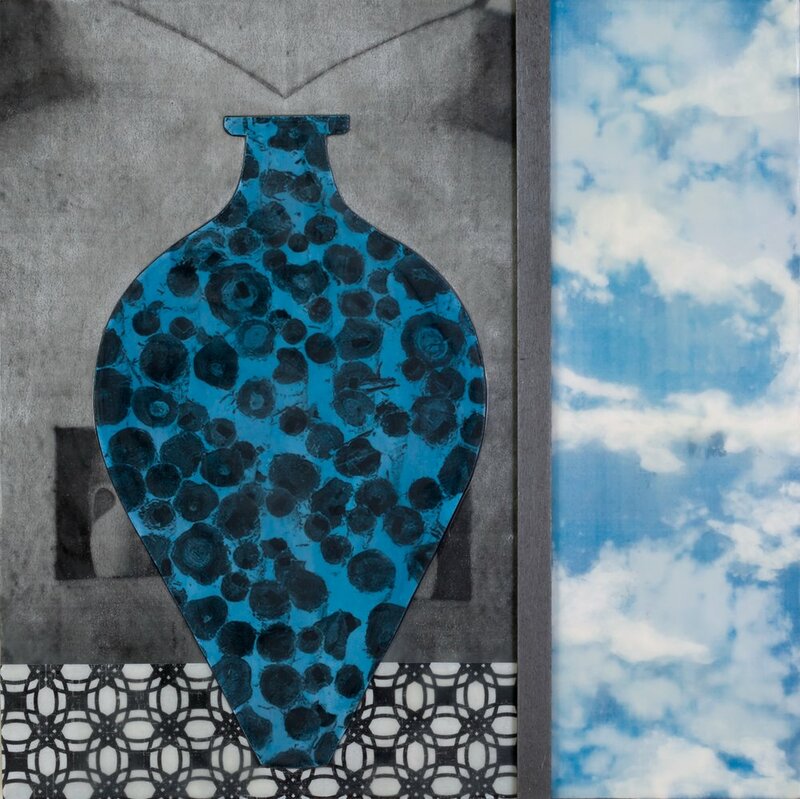 Using printed paper, cyanotype and encaustic, we expand our individual work by using the same tools to create individual pieces that conform to similar composition, colors and use of patterns. Two individual pieces created using mixed media in our signature styles inform a collaborative piece that brings together interior and exterior. Working together to push abstraction, we selected patterns, textures, paper, and form to lead a series of five paintings contained in one frame. In “Juggling Act,” Claudia leads the dialogue with form and pattern and Erika answers. In "Mt. Tabor," Erika leads the exchange with textures and form and Claudia responds. Working side-by-side, two separate pieces continue the visual conversation to reinvent an interior and exterior image. 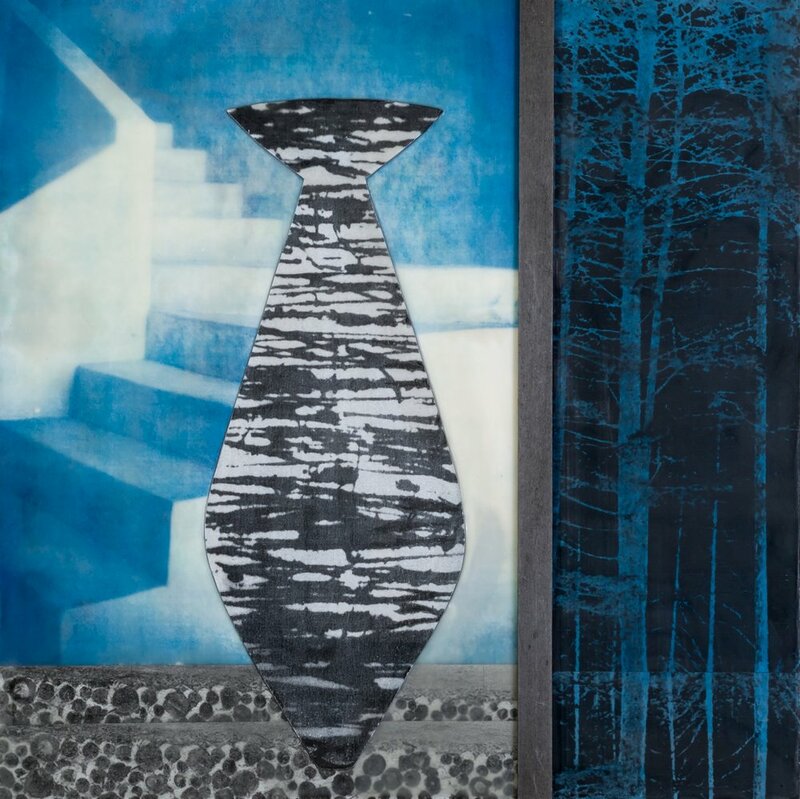 This show presents a series of individual and collaborative works from two artists who share similar materials and theme, yet employ different techniques and artistic visions. 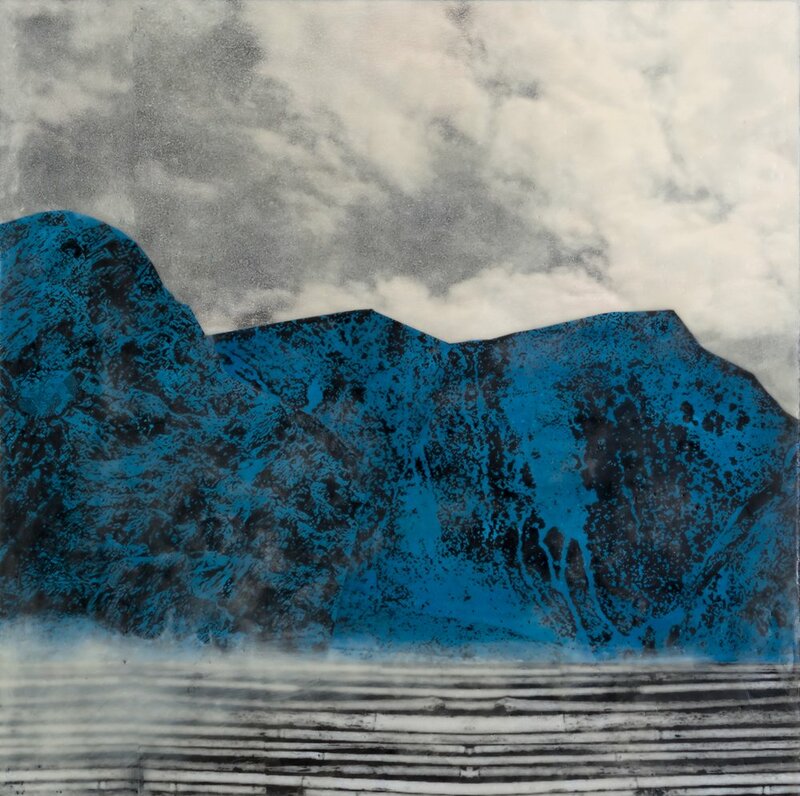 Claudia is an encaustic artist, Katherine works in collage and mixed media. Reflection and Balancing Act, 12" x 60"
Dot. Dot. Dot., 16" x 36"
Tiger, Tiger, 16" x 36"